Everest Rampage 66 Black USB 3.0 12cm Led Fan Gaming Case; Equipped with gaming features, this case has 120mm 5 fans slots for the cooling system. 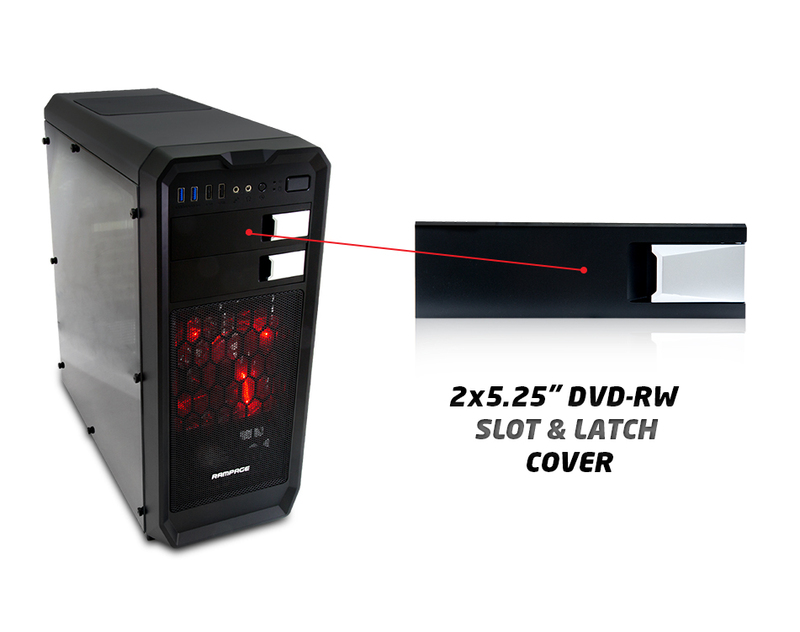 Also in our case 2x 5.25" DVD-RW, 2X3.5" HDD, 2X 2.5"SSD & HDD slot allows you to connect multiple devices at the same time and it is easy to install. 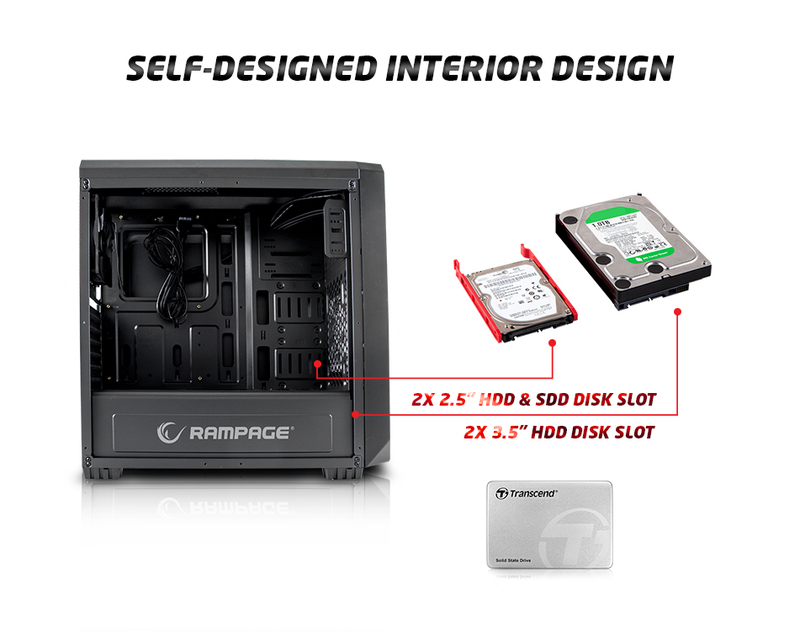 Everest Rampage 66 Black USB 3.0 12cm Led Fan Gaming Case; Data storage and specially designed to the input of DVD-RW screw, HDD, SSD mounting slots designed and manufactured can be easily removed from sockets. It does not cause any problems during installation and it is designed perfectly on the shelf which prevents the HDD & DVD-RW from being shaken by a special design inside and will prevent damage. 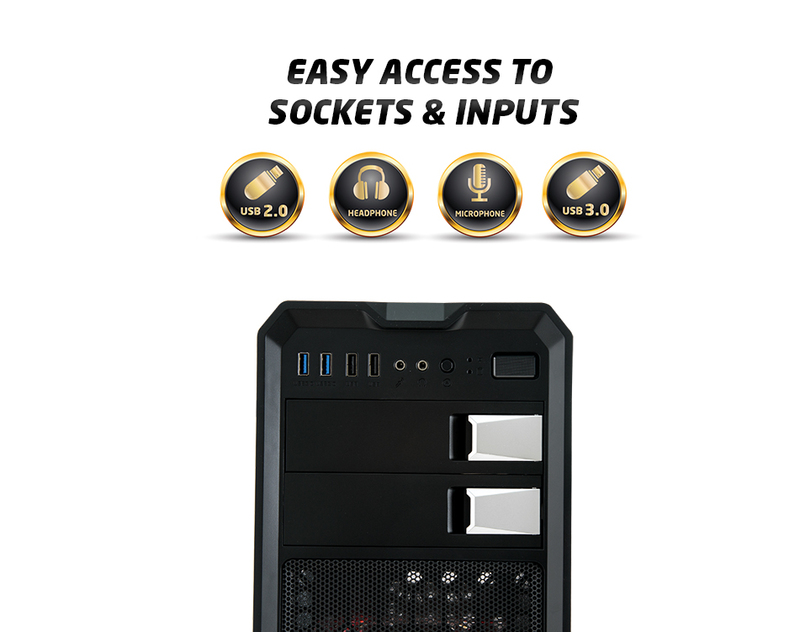 Everest Rampage 66 Black USB 3.0 12cm Led Fan Gaming Case; Easy access socket and inputs on the case making your case more usable. In this way, you can easily connect your headphones, microphone and USB memory. 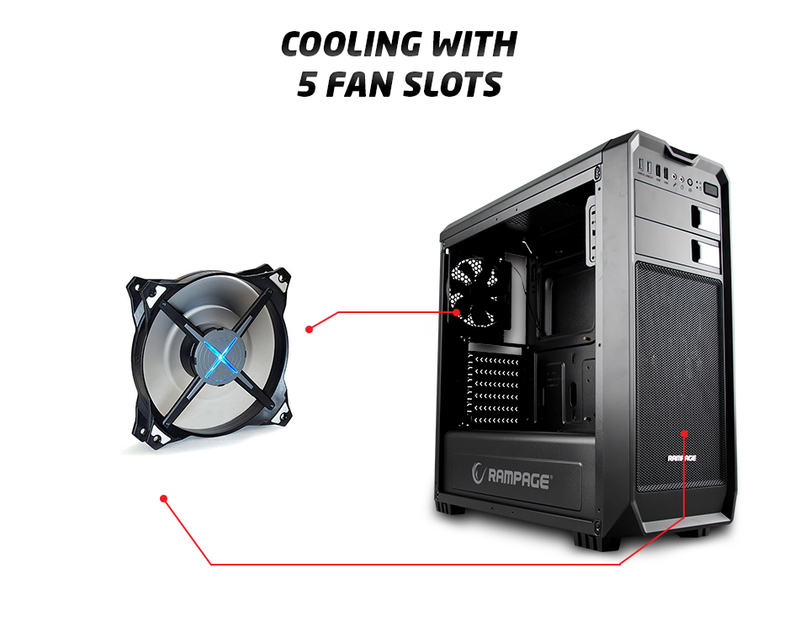 Everest Rampage 66 Black USB 3.0 12cm Led Fan Gaming Case; Gaming systems produce high temperatures because they are high-performance products. 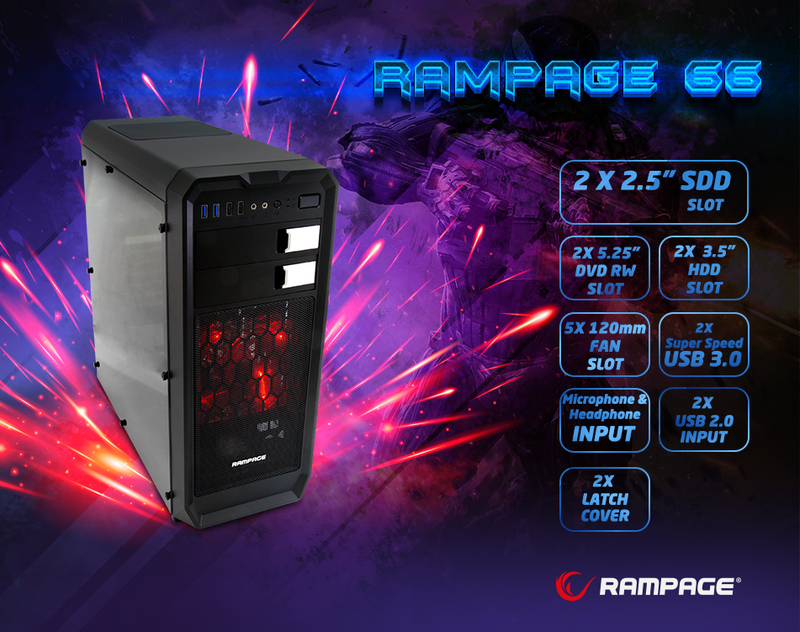 To solve this problem, you will get to Everest Rampage-66 wide interior design and 2x120mm fans in the case, it reduces the heat from all sides of the case and provides maximum cooling. 2x120mm fan comes with your package. Everest Rampage 66 Black USB 3.0 12cm Led Fan Gaming Case; You can easily plug and unplug your devices through the latching caps on it. In contrast to the covers on other cans, you can prevent the appearance of image fouling on the unloading area by inserting the latch cap on the device instead of the one you removed. 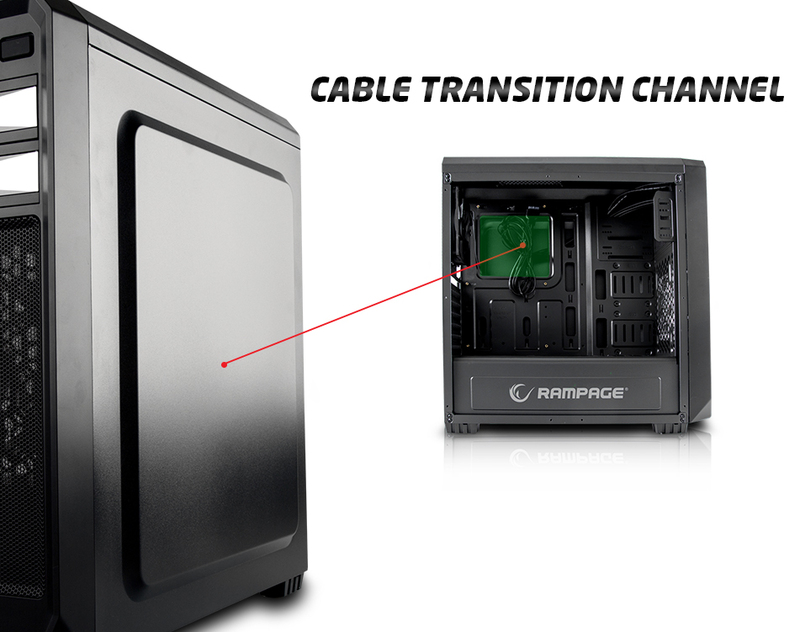 Everest Rampage 66 Black USB 3.0 12cm Led Fan Gaming Case; The cable pass-through in the casters allows you to route your cables through the back of the motherboard, reducing cable clutter to a minimum and preventing image contamination. It also eliminates the possibility of wires coming into contact with the fans inside the case. 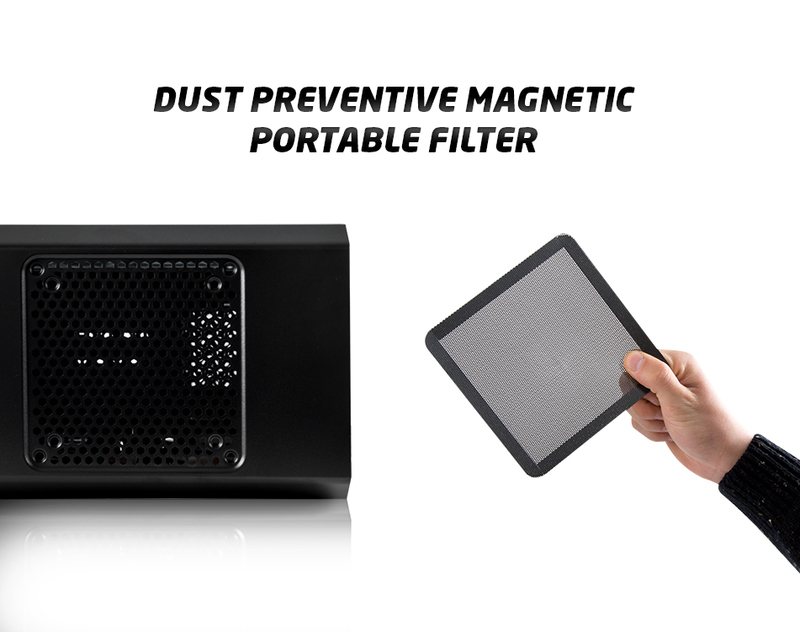 Everest Rampage 66 Black USB 3.0 12cm Led Fan Gaming Case; Portable detachable magnet filter on the top panel of your case prevents dust from entering into the case and provides healthy cooling. You can easily remove and clean this filter at any time.